Fall officially begins this week! We’re tickled orange!! 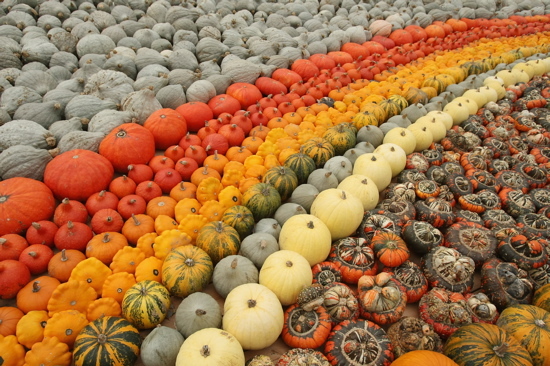 The Jerome Farmers Market will carry the largest variety of pumpkins in the Magic Valley. There will be many types to choose from. Everything from baby boo to wolf. Orange, yellow, blue, white, cream, you name it! There will be winter squash galore, corn shocks, gorgeous mini and regular Indian corn and APPLES. We have now discovered 2 favorite fall apples and will have more than 6 varieties to choose from. We have bulk onions to stock up on and boxes of russet potatoes will be making their appearance. Come see us this Saturday from 9am-1pm at the Mountain View Barn on HWY 93 3 miles south of Jerome or 392 East 300 South. we will update the list as we get more vendors for this Sat.! Bird house gourds and thunder gourds decorated, come see the pure Idaho artistry.